As our Premier users may have already seen, it would appear that the era of genuinely adaptive rather than reactive suspension is here. The complete system, from sensors, shock to brains. The ability to ‘read ahead’ and adapt damping automatically is something that’s become a fairly common feature on high end cars, but the weight, complexity and power requirements of these systems are considerable. The E.I. Shock system represents a pretty major change then, taking inputs about whether the rider is pedalling, how big a bump the forks have just hit and therefore what’s about to feed into the rear wheel, to decide whether the shock should fully open, at a medium level of low speed compression or locked out. It does this by using a cadence sensor in the bottom bracket spacer, a pair of accelerometers (one attached to the fork leg and one in the steerer cap/computer mount), a servo in place of the usual manual adjuster on the adapted shock and a ‘brain’ unit, which integrates a remote manual adjuster and multi function cycle computer/display unit. All that is powered by a frame mounted, removable and rechargeable battery pack. Using the bar mounted remote, you can manually set the shock to Open, Medium or Locked. To get the real benefit of the system you need to leave in in Auto, where there are five pre-set levels of sensitivity. At Level 1, the shock will open with only a low bump force being registered, while at Level 5 it’ll take a hard knock to get the system fully open. This means everyone from freeridey types to cross country racers can choose a level that suits their riding style best, the difference between the maximum and minimum settings being about 140%. The servo portion integrates rather neatly with the Monarch RT3 shock. When the rider is coasting, the system keeps the shock fully open. 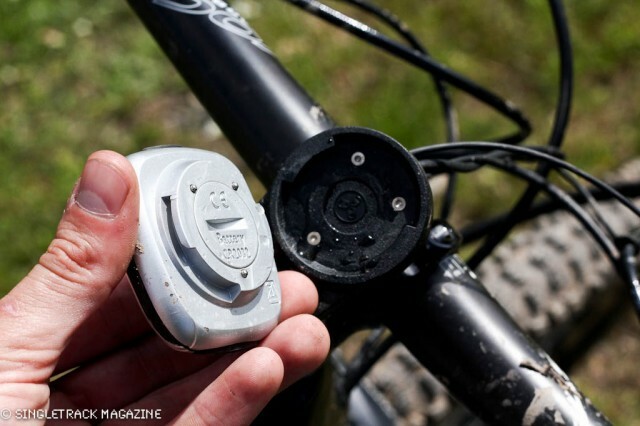 As soon as pedalling is detected, the system locks out but begins checking with the sensors at the front. If a bump is detected, the system then decides how large the impact is. A large impact means the shock will open up fully, while a medium to low impact will only open the shock to the platform setting. All this happens within 0.1 of a second, meaning that the system can detect a bump at the front wheel and adapt to it before the rear wheel hits it at speeds of up to 22mph. The system makes changes at a rate of 30-45 per minute, far in excess of what the most zealous manual remote user could achieve. It’s hard to fool as well. The engineers were beaten with every possible scenario by cynical journos and at every turn they had an answer. 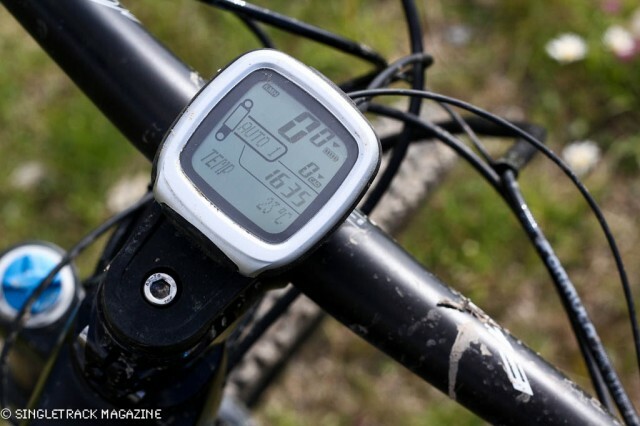 The fork accelerometer works in rebound as well as compression, meaning that if you pull up on the fork, eg. going off a drop, it’ll still release the shock. Would it lock if you pedalled right off a drop? Only if you kept pedalling all the way through, even during the landing – which is unlikely. As soon as you stop pedalling, the system opens. The brain can even tell whether the cranks are rotating forwards or backwards, so if you like to backpedal into a corner it won’t lock it out. The battery is said to last for 25 hours off a full charge, at which point it’ll still have around 80% charge left. It’ll still function, but the frequency that it changes settings will reduce. In the event of a failure of any part of the system, the shock will stay in the last setting used – and thanks to the blowoff valve on the Monarch, even riding it locked out won’t cause damage. A backup exists in the form of a 2.5mm hex key bolt which can adjust the shock manually. The system is waterproof to IPX7, meaning it’ll stand being submersed in a metre of water for an hour. That’s what marine GPS units are usually sealed to. Jeremiah Boobar, product manager for Rock Shox, said they’d continuously jetwashed the units until the external rubber trim had started to be cut off by the water pressure and the system was still working just fine. The system works just fine without the display fitted - the black steerer mounted piece hides the upper sensor and is the real brains. The system has taken over five years to develop to a point where it was ready for release, generating five technology patents along the way. The project has involved a number of people. 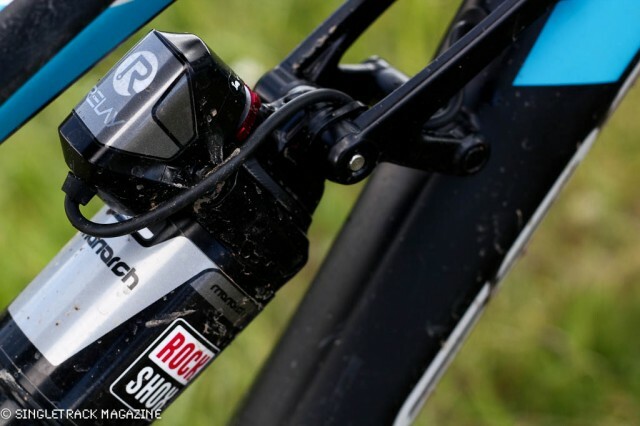 RockShox integrated the servo into their Monarch shock, German lock manufacturer Trelock created the software and it was all developed with help from the Ecole Centrale Lyon, one of the most prestigious French ‘Grande Ecoles’ of engineering. 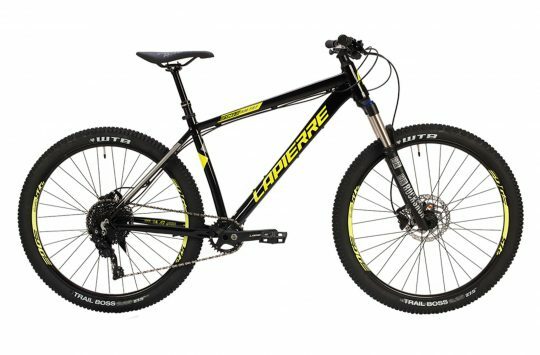 At first, only Lapierre was involved in the development but as the project became larger (and more expensive) the other brands owned by the Accell Group became involved, namely Ghost Bikes and Haibike. EI Shock is going to be exclusive to those three brands, featuring on a total of 21 models. In the case of Lapierre, the XR 29, Zesty and Spicy will all come with EI Shock equipped variants. Price? That’s yet to be decided. The closest we could get to an answer was a joking “less than €25,000, more than €5”. Chinese whispers of a price hike around €500 over a non EI model would seem closer to the mark. There’s also a weight penalty to be paid, around 350g for the complete system. It’s not going to be available separately or as an aftermarket add-on – unless you want to buy a EI-equipped bike and strip the kit off it. The computer has all the usual functions; speed, cadence, temperature - the list goes on. 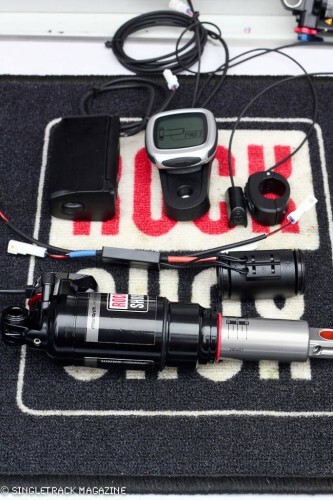 Although you will obviously need to use the Rock Shox Monarch RT3 Relay shock, the rest of the system doesn’t require any proprietary products. You’re free to use any fork brand with the system and the cadence sensor will work with Shimano and Race Face cranks as well as SRAM. “When the curtains were opened (or in this case the sheets pulled off the bikes ) I think most journos did what they always do; assumed that it’s electric and mountain bike so therefore it won’t work. I know that I initially thought of the very early incarnations of the Specialized Brain before I rode the shock, which sent a shiver down my spine. 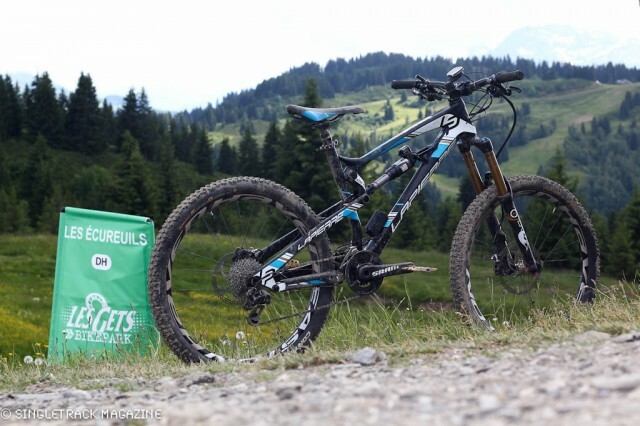 Rather than waiting for us to make any more prejudgments we were sent out on a range of EI equipped shocks from the Accell Group of bike companies; Lapierre, Ghost and Haibike. Set up is simple; set your forks as normal, set the sag on the rear shock and off you go. Initially I rode a Ghost 29er and – I’m sure like everyone else – tried desperately to trick the shock by bouncing around oddly and lifting and the forks up and down really quickly , but to no avail. Wheelie drops of things produced a smooth drop on to the rear wheel and the usual feeling of suspension absorbing the drop, while a pedal stroke as the initial explanation of the system promised, stiffened the suspension quickly and noticeably . In a nut shell the EI does things that shocks have always been able to do, but a speed you can’t do them at – from being fully open to closed in 0.1 second and everywhere else in between. 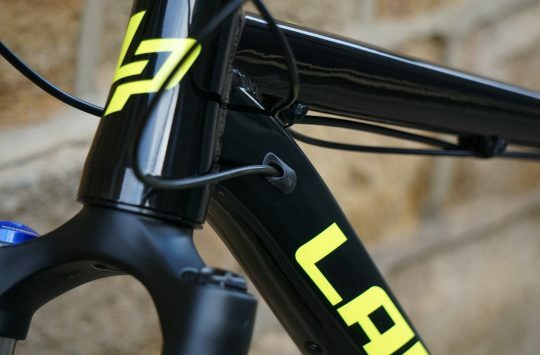 It’s clever, intuitive and like many other good products does clever things in such an understated way you’re never really aware that it’s doing it and getting on with riding it. 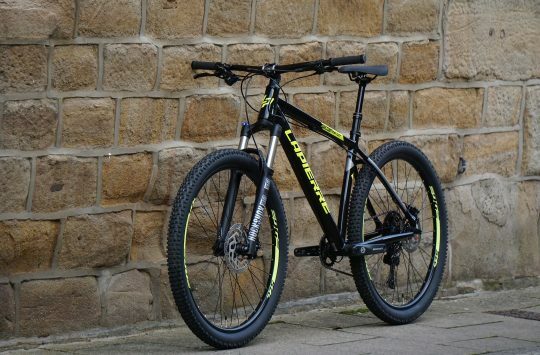 It’s great being able to get the suspension to firm up straight after coming out of a corner (well one pedal stroke later) and the counter of being on a firm feeling rear that opens fully as you ride into a rock garden. There’s going to be four main arguments against it. One will be British bug bear waterproofness – and whilst we saw French mechanics grimly spraying bikes to death with no apparent problems only time will tell. It’s going to cost more – we don’t know how much, though Accell claim it will be reasonable it will still put a premium on the equivalent modelled bike without the electric gubbins. Well…..why not? Got some kit in the lab that would be light enough to bike mount, the issue would be power mostly. But for DH when it only needs to work for a bit at a time (And it could just turn on when you move)…. Bring it on. I doubt I’ll be able to buy it. I doubt more that I’ll ever need it. That it has been invented and is coming to production is a good thing. Whilst I ‘rode’ Mayhem on a hard tail I really like my old Sub5 on regular rides and I can only imagine that this kind of kit would make a ride that bit more…manageable.